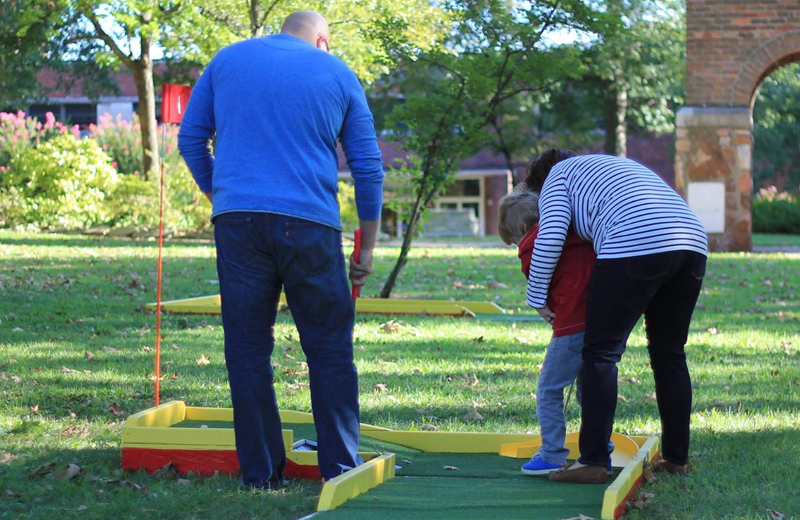 Families enjoy playing mini golf together. In today’s ever competitive market, where many people buy their vehicles without ever stepping foot on the car dealerships lot, it’s important to create a buzz worthy promotion that can bring in families for a fun event. Events like this help create dealer loyalty and deepen your relationship with customers, increasing the likelihood that customers will return to your car dealership the next time they’re in the market for a new vehicle. Imagine having a big, colorful, family friendly mini golf course set up on your lot. Drive by traffic sees it as well as those who were personally invited. Each hole can have signage reminding patrons that it’s easy to get their service done at the dealership, that you have customer loyalty programs and more. 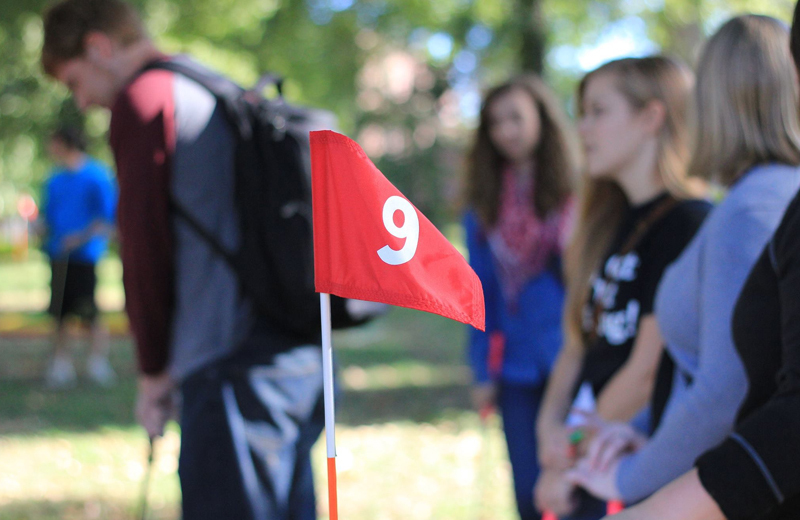 You can even have partners sponsor a hole and have custom signage on that hole. Sponsors will even get to keep the metal signs. 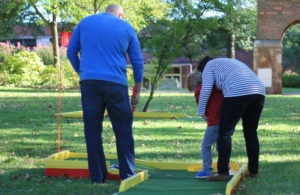 Families will be encouraged to take photos playing mini golf at the car dealership and share their experience on social media, helping you to create BUZZ about your store on social media platforms. They’ll leave your dealership feeling happy and a part of the family. Best of all, it’s a promotion that won’t break the bank. It’s a creative, cost effective and fun way to host something special at your car dealership. Bringing Mini Golf To Go gives your car dealership’s marketing team a logical reason to reach out to your customer base via phone or e-mail to invite them to come play mini golf. If they happen to be interested in a new car or getting their vehicle serviced while they’re there, all the better. Give us a call or fill out a form and let’s start the conversation on how we can help your car dealership get more families onto the lot.